Natalie Alcala is my ultimate #momcrush. 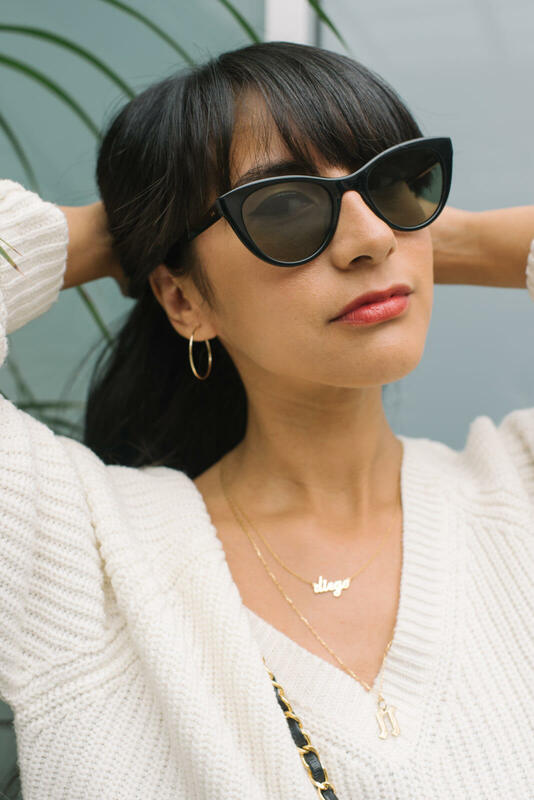 This badass fashion-editor-turned-mom is not only a mega babe with killer style, she is responsible for founding Fashion Mamas: the first ever members-only global network of moms who work in the fashion and creative industries. Members of this group just get “it”. Not only are they working moms, but also are extremely influential in their industries and the social world. At monthly members-only events, moms can network, talk shop, talk mom-life, talk life-life, find play dates, and seek non-judgemental support from like-minded women. This supportive community of moms has over 400 members worldwide and is always growing. All I have to say is sign me up! Melissa: Tell me about your morning routine. What is the first thing you do? Do you prefer lazy morning? Or, do you like to have your day started right away? Natalie: I wake up at 5 am every day – that’s my power hour! I meditate for 10 minutes or so before picking up my phone. Then it’s go, go, go until Diego wakes up at 7. M: You used to be a full-time fashion editor before becoming a freelancer. How did you start in fashion? N: I was always a fan first, reading blogs like JAK & JIL (Tommy Ton forever), Who What Wear, and Style.com. I was a Creative Writing major in college and was always intrigued by the fashion industry, so the natural step was to merge these two passions. I know it sounds silly, but I maintained a private Livejournal blog where I wrote about my own fashion reviews of runway shows, subconsciously building my “clips” in a way. I finally got to share them one day when I met the CEO of Blackbook Magazine and convinced him to give me a shot. I eventually became their go-to fashion writer and also started freelancing for other publications as I built experience. This was all happening during my lunch break at my daytime job in marketing, mind you! 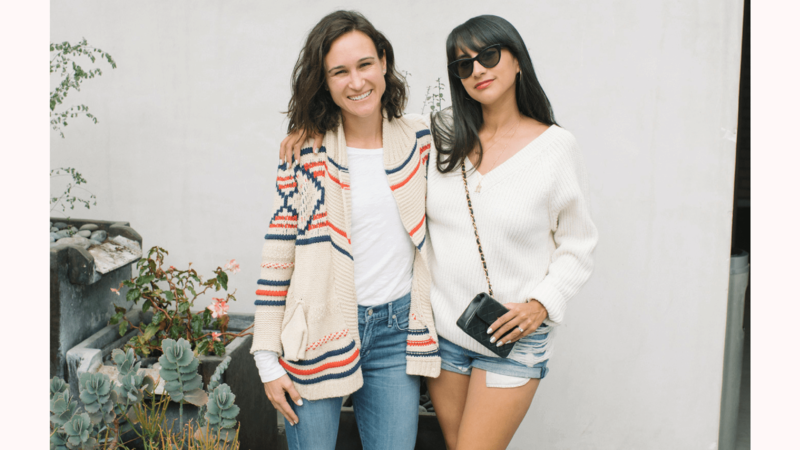 I eventually landed a freelancing role at Racked LA and slowly made my way up to senior editor over the course of five years. M: What is your most worn pair of shoes? How long have you had them in your collection? N: There are two pairs of shoes that I’ve worn to the ground, and they perfectly sum up my fashion sense: 1) My Manolo Blahnik Chaos ankle-strap sandals in black, my Nike Flyknits in black and white. Sometimes I’m sassy, sometimes I’m sporty. M: You’re very in-tuned with pop culture and social media. Where do you go to get the latest news on fashion accessories and trends? N: Instagram! I am such a nerd, I save my favorite accounts via the new Collections option the app so I can browse the exact Instagram accounts I love instead of just aimlessly scrolling. I read my favorites in the morning and then go about my day. M: Which fashion accessories trend are you loving currently? Which one do you think is a major faux pas? N: I love that mules are having a moment. I have been a shameless mules fan for years! As for an accessory faux pas, I really dislike huge bags. Even when I needed to carry diapers when Diego was little, I always wore a cool backpack — never a diaper bag. No disrespect to huge bags, but they’re just not my vibe! M: If I were to open your closet, which type of accessories will I find the most? N: Tons of gold jewelry, black heels, and tiny black bags that all look related but I know their subtle differences. M: How did you come up with the idea of Fashion Mamas? What do you think is the biggest struggle when it comes to starting a fashion community? N: I felt so alone when my son was born and wanted to connect with women in my line of work who spoke my language and had a baby on their hip. In 2014, there wasn’t a place for the cool, modern mother to collect with like-minded women, let alone in her industry. I started small by connecting a few of my mama friends during an intimate launch brunch, and it just rapidly grew from there. It was all very organic! The biggest struggle is maintaining a unique point of view. It’s easy to get caught up in what others are doing and comparing their work with yours, but I refuse to fall into that trap. Do you and only you! M: Since you started Fashion Mamas you launched Kids Fashion Fair and most recently debuted Mama Mirage, what has been the most fun project that you have tackled? N: Definitely Mama Mirage! I mean, look at this video. I want to relive that day every day. M: You have two minutes to put together an outfit for date night at Soho House. What would you pick? What will be your top accessories? N: Easy! A little black dress from Reformation, some black strappy heels, piles of gold chokers and one gold lariat necklace, gold hoop earrings, my tiny Chanel bag, and an oversized vintage denim jacket to add some character. M: Is there a local, hidden gem in Los Angeles that you love to visit? If you had to take me out on a Saturday brunch date with the kids, where would you take me? N: Definitely Trejo’s Tacos! It’s an awesome taco joint owned by actor Danny Trejo. Killer margaritas and Mexican food, and there’s even a big bucket of blocks for the kids to play with while we grub.